With over 25 years of swimming pool experience, we feel confident that we can meet any challenge associated with the creation of elegant, one-of-a-kind swimming pools and water features. 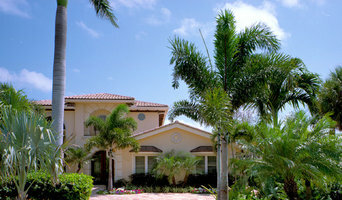 Orlando Comas Architects is an experienced, Licensed Landscape Architect serving the Miami-Dade Community. Give us a call today for your next project! Our unique approach to swimming pool care is unmatched. At Somar Pools, we strive to exceed your expectations with prompt, courteous service in pool repairs and pool maintenance. Somar Pools was created in an effort to change the way in which pools are cared for. The current owner started Somar Pools after working in his family's pool business in the Northeast for more than 15 years. His family has been in the swimming pool industry for over 25 years and is now the premier pool builder in the Southeast. Driven by an entrepreneurial spirit and the love of warm weather, he decided to relocate to South Florida and start his own pool company. We have a passion for excellence and have had the privilege of working on some of the most elaborate pools in the world. We have repaired pools on the beautiful island of Anguilla, British West Indies, and other locations throughout the Carribean. Our unique approach to swimming pool care is unmatched. At Somar Pools, we strive to exceed your expectations with prompt, courteous service in pool repairs and pool maintenance. Right Choice Pools & Spas is a high-quality custom swimming pool contractor. We build custom residential swimming pools to fit all budgets. We remodel both residential and commercial swimming pools. Welcome to Custom Watershapes Inc, the experts of luxury swimming pool construction and design. With over 25 years of swimming pool experience, we feel confident that we can meet any challenge associated with the creation of elegant, one-of-a-kind swimming pools and water features. Whether it’s an existing pool and backyard renovation or a completely new build, we have the knowledge and network to turn your dreams into reality. Unlike many pool builders in Florida, the owner of Custom Watershapes Inc is always directly involved in every major project, personally assuring that the project is completed in a timely and professional manner. Our attention to detail is second to none. We specialize in custom luxury pools, spas, water features and outdoor kitchens. We build beautiful concrete structures of every shape and size, from modern geometric shapes to graceful curving lagoon style swimming pools. From the design phase to the final step of filling up the pool, customer satisfaction is our number one priority. Unique Patios & Pools Inc.
We build custom-designed architectural swimming pools, both new construction & renovations with a unique project management system that manages anything from A to Z. Call us today! Plantaysia can help to create great outdoor spaces, uniting the environment with the indoors in a harmonious fashion. We design elements that are tailored to your landscape needs and desires. TotalScape Design is owned by award-winning landscape designer and host of Turf's Up Radio, Darren Gruner. Each week, landscape pros from across the country tune in to Darren's show to learn about the latest in landscaping and outdoor living. If you live in sunny south Florida, go where the pros go - Darren Gruner of TotalScape Design. 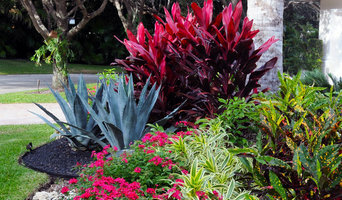 LANDSCAPE DESIGN There’s much more to landscape design than simply installing plants that grow in a particular region. Your outdoor space should be a reflection of who you are and how you like to live. That’s why Totalscape’s first step is to talk with you and determine your design goals. Combining your vision with our expertise, we will create detailed plans and 3D renderings that transform your yard into a beautiful space that adds value to your lifestyle and your home. LANDSCAPE INSTALLATION From grading to planting to outdoor kitchens, let Totalscape Design bring your landscaping plans to life with professional, knowledgeable installation services. We’ll provide you with an installation schedule so you know when to expect our crew, and for how long. Our installation team is fully licensed and insured and will treat your property with care and respect. Once the project is completed, we’ll walk through the site with you to answer any questions you may have and to ensure the final product meets your expectations. OUTDOOR LIGHTING Less energy, more light! TotalScape is amongst those leading the charge LED products consume less energy and create more light. HARDSCAPE DESIGN & INSTALLATION Homeowners today see their yards as an extension of their indoor living space. This is especially true in areas like southeast Florida that enjoy desirable climates for much of the year. Elements such as outdoor kitchens, fire pits, water features, patios and pergolas deliver style, function and all the comforts of home. Totalscape Design works with homeowners to create outdoor rooms that seamlessly complement existing architectural elements. Our construction team uses specialized equipment and the highest quality materials to ensure the end product will withstand the elements and stand the test of time, all to provide you and your family years of enjoyment. POOLS AND WATER FEATURES Enjoy your backyard oasis even more with a water feature or a swimming pool the connects right to the patio. Or, learn how we can customize a new or existing pool with fountains, spillways, waterfalls, swim-up bars and much more. In 1975, Van Kirk & Sons was founded with one core purpose: to build the best custom pools in South Florida. To accomplish this goal, Van Kirk & Sons hired the friendliest and hardest working staff. We are a family business that has been established since 1997. As we are a family business, the owner is on and performs work on every project we do. This means we pay special attention to every little detail. Our staff isn't just staff, they are family as well, we have extensive knowledge and are always up to date on the newest trends and products that are available. We offer a 4,000 sq ft showroom like no other where you as a client can come in see, touch and feel everything that you can think of from Tile's for the pool / spa, Plaster or Diamond bright, River Roc, Pebble Tec, Crystal Works, L.E.D. Lighting down to the Motors, Pumps and Outdoor Grills. We have so much it would be impossible to list everything!